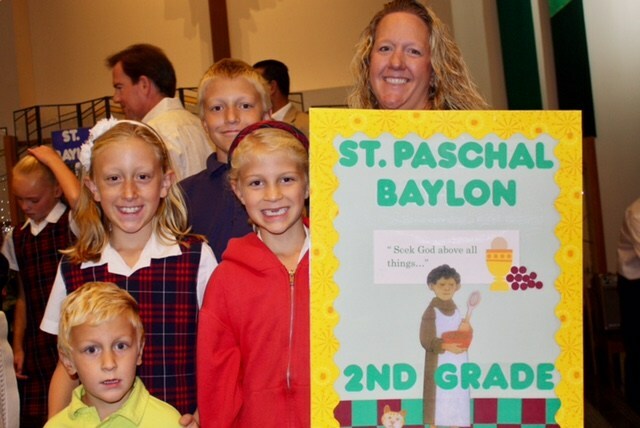 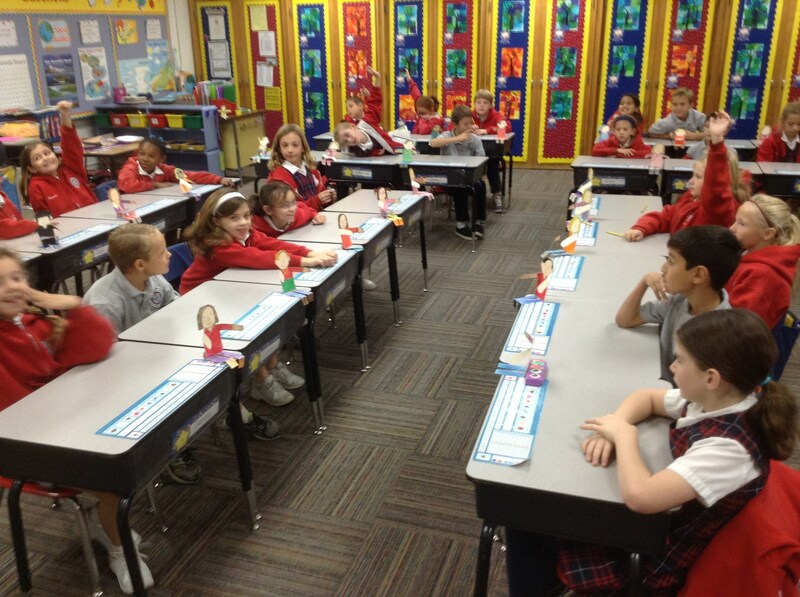 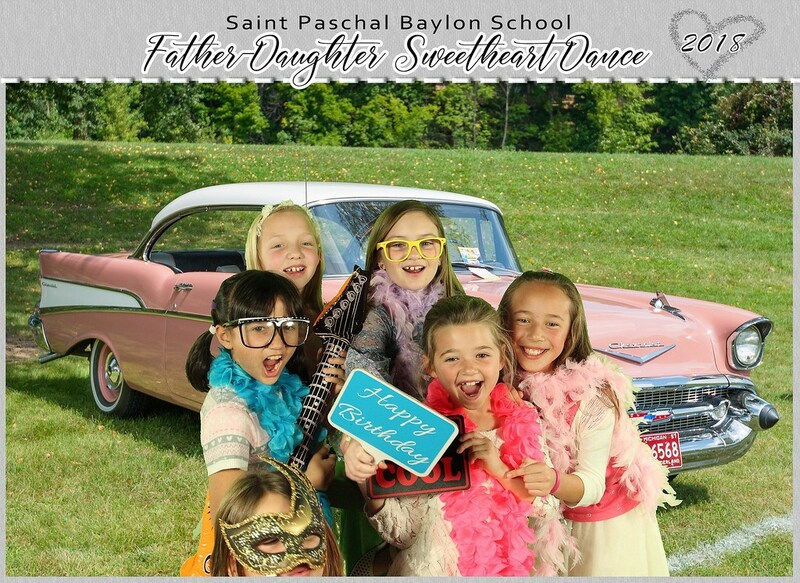 Second Grade is a special and momentous year for students and families alike at Saint Paschal Baylon School (SPBS), as it is when our students celebrate their “Sacramental Year.” All our SPBS students are Catholic, so while preparing for their First Reconciliation and First Communion as a class, our Second Grade students grow in their Catholic Faith. 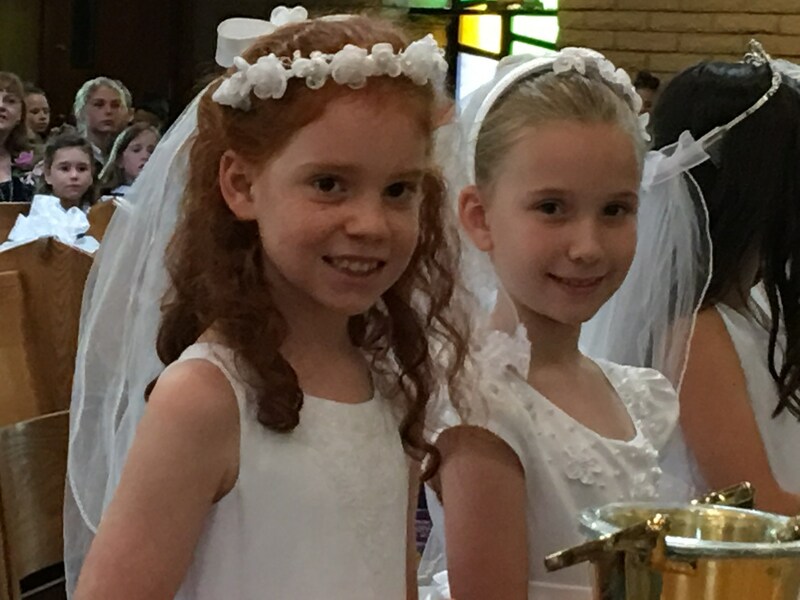 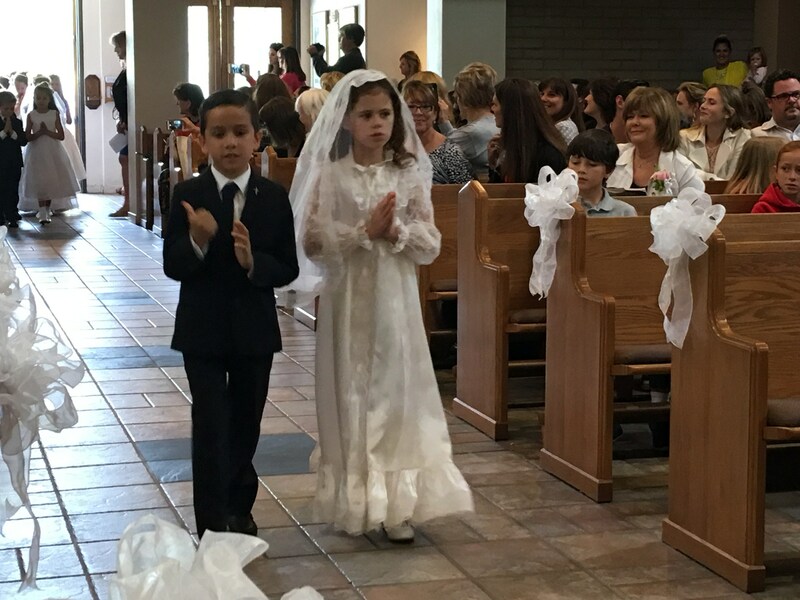 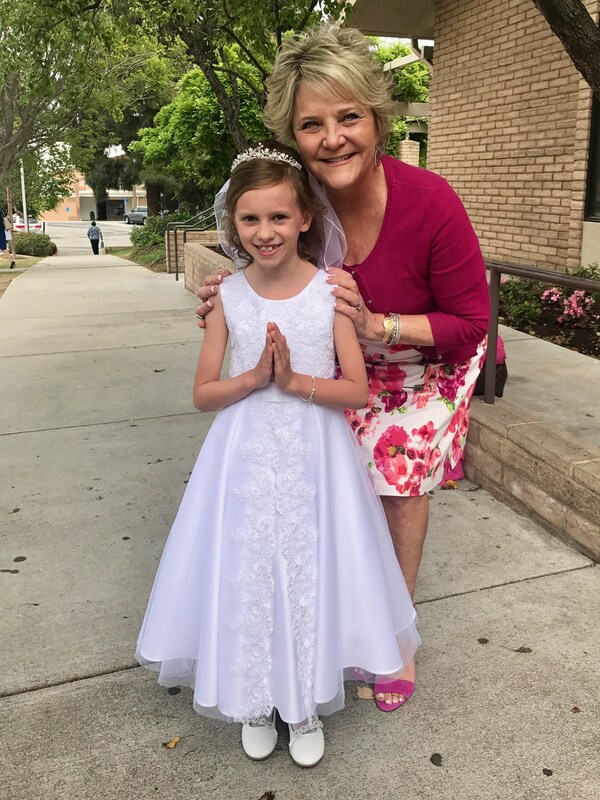 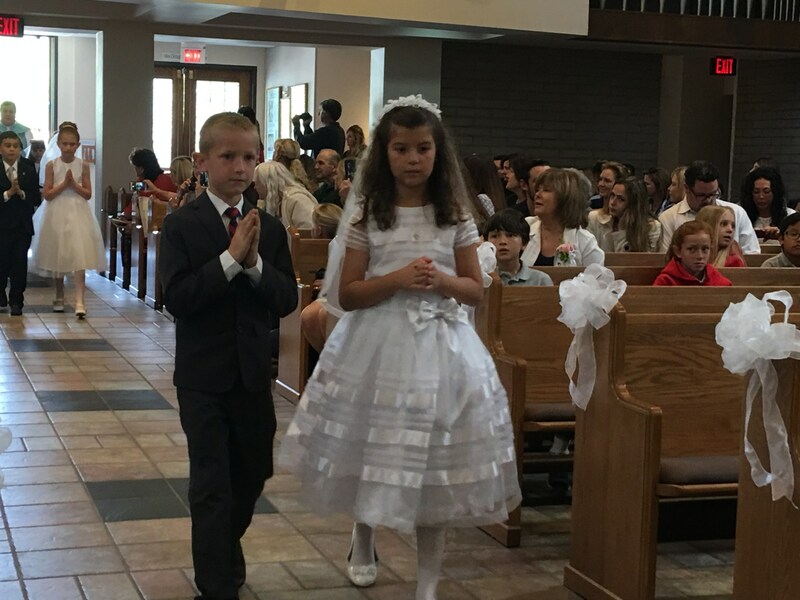 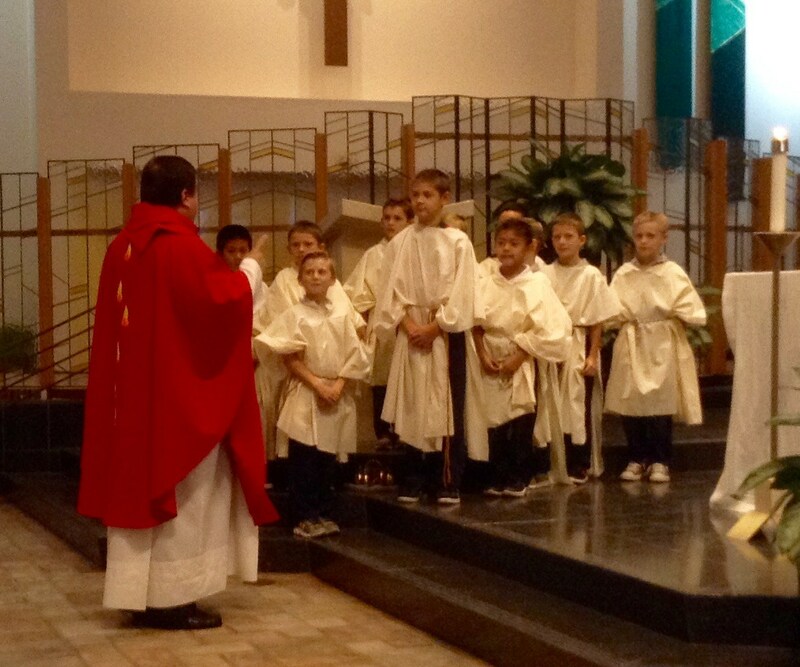 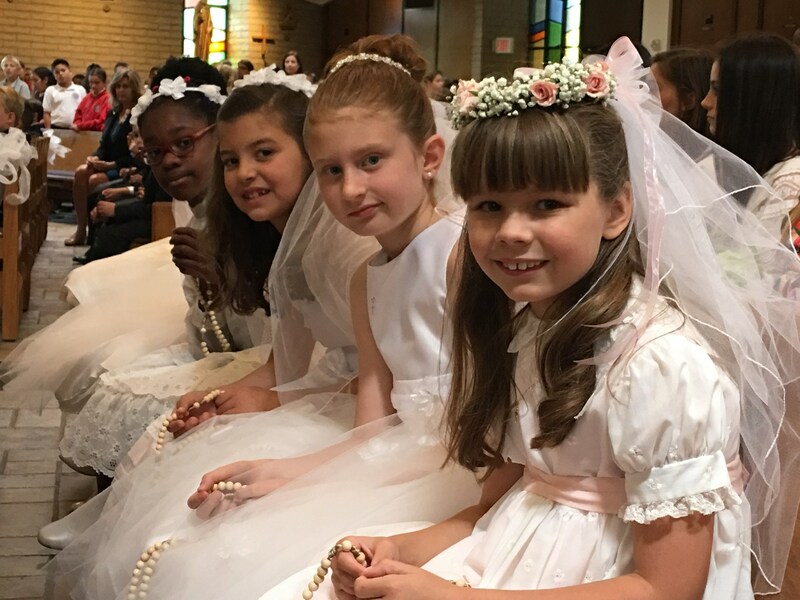 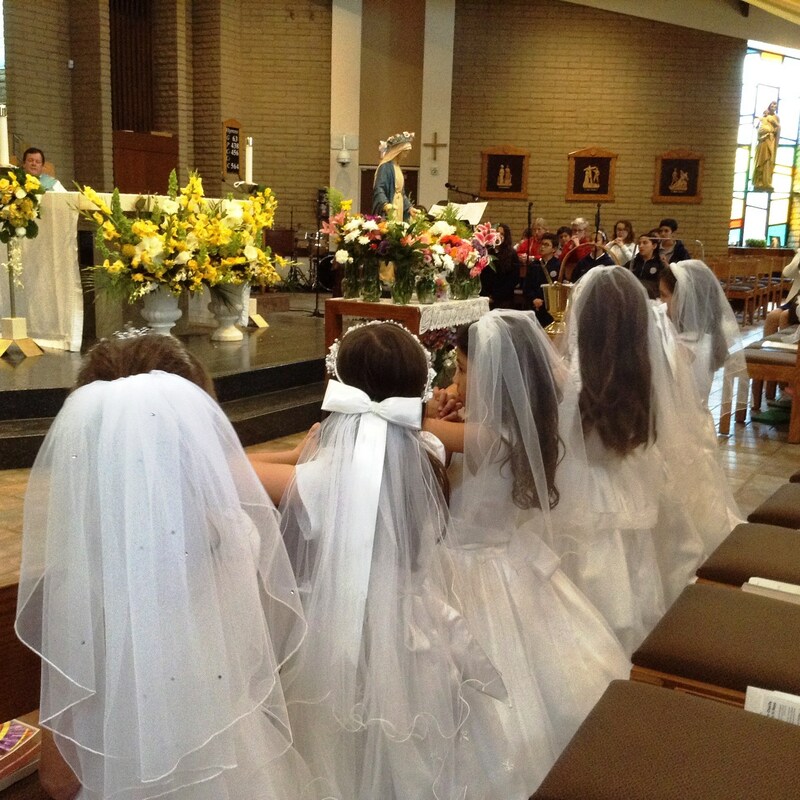 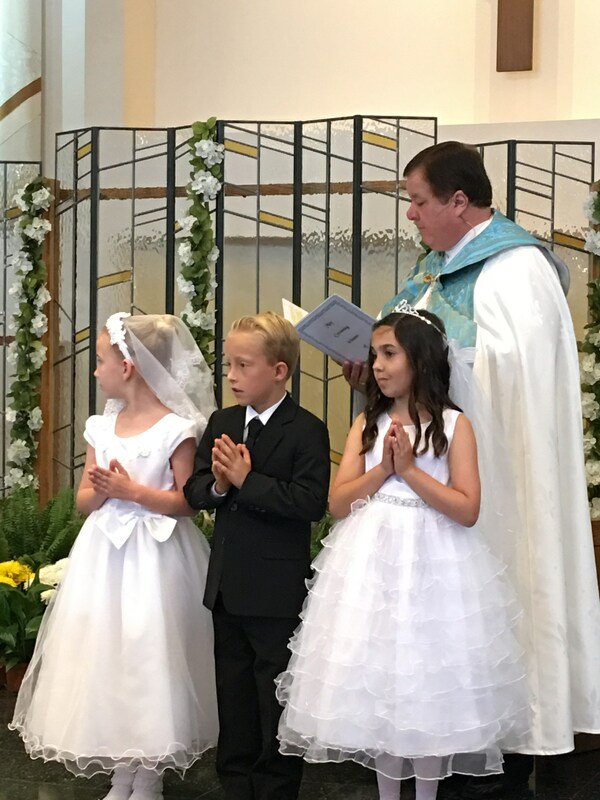 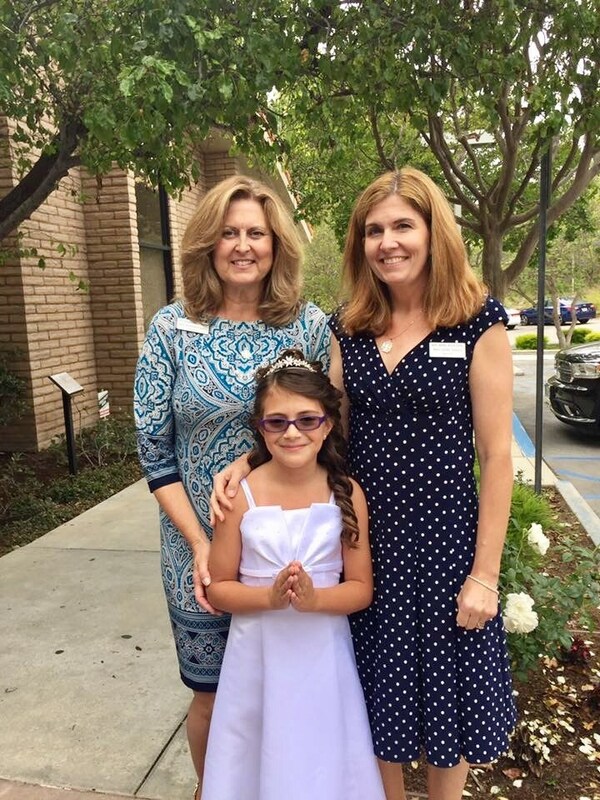 SPBS students receive the Sacrament of First Reconciliation during Lent; and they celebrate First Communion on the first Saturday of May, together with children from our Parish Community. 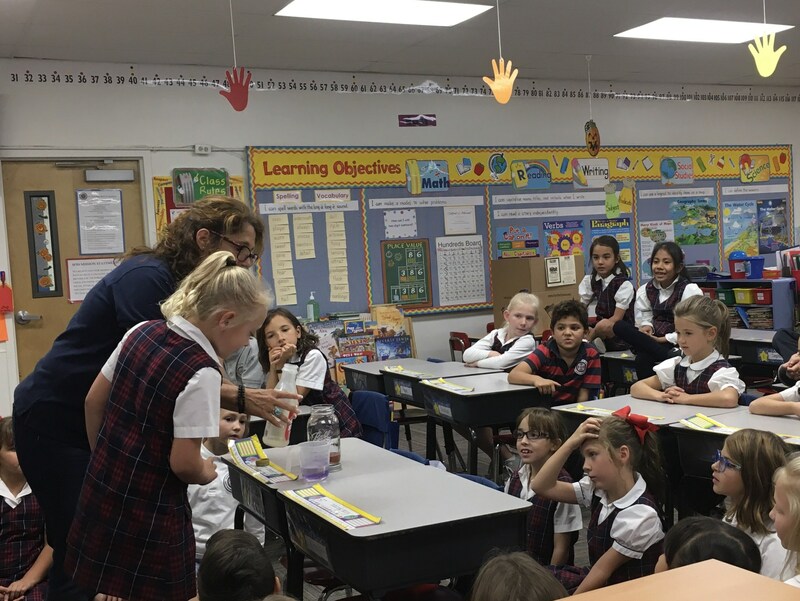 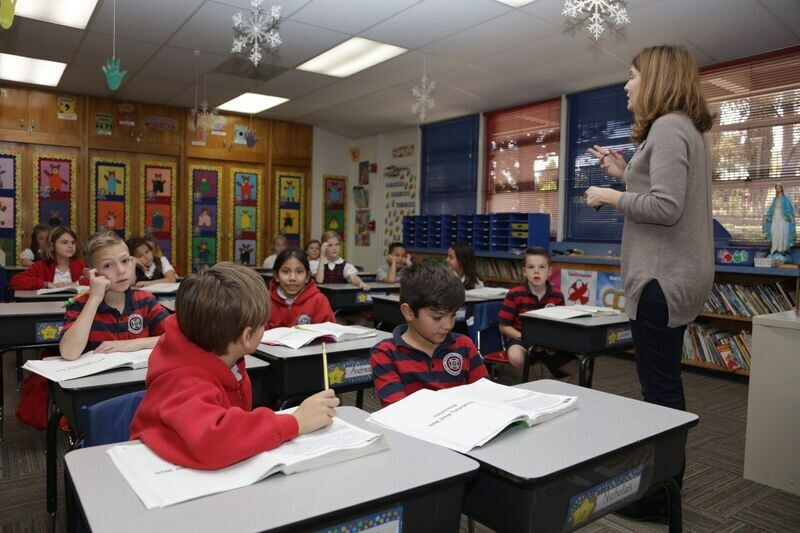 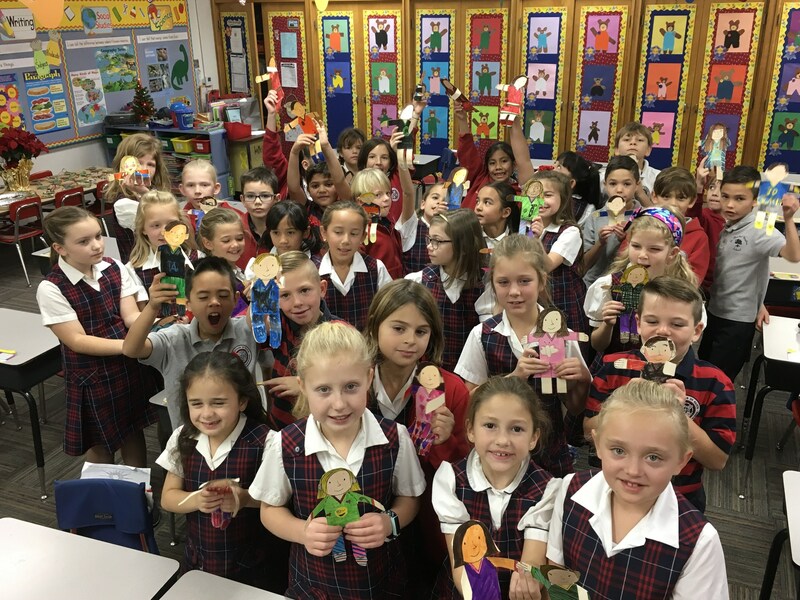 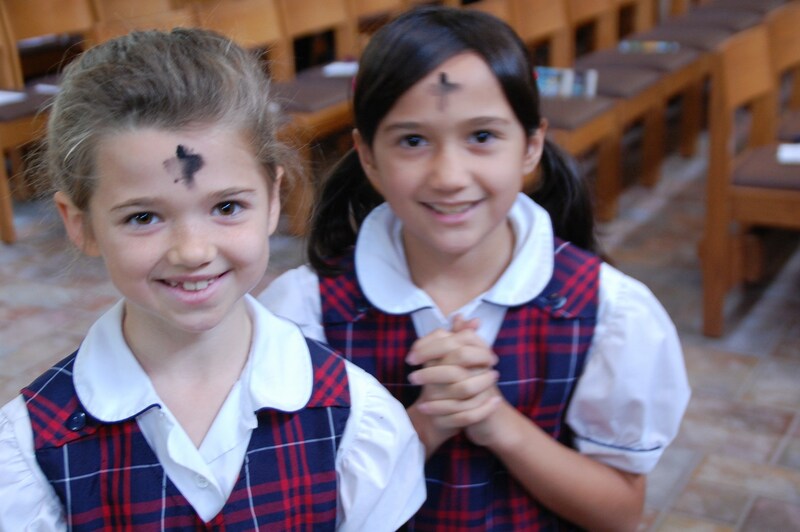 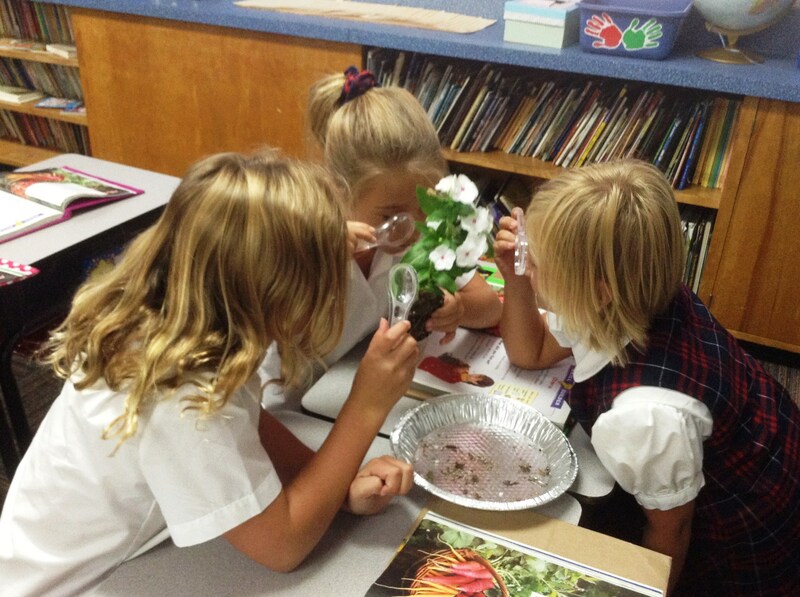 Along with experiencing a curriculum designed to promote excellence in standards-based academics and faith formation for all students, our Second Grade students also participate in a variety of weekly Enrichment Classes: Spanish, Art, Music, Library, Computers/Technology, and Physical Education. 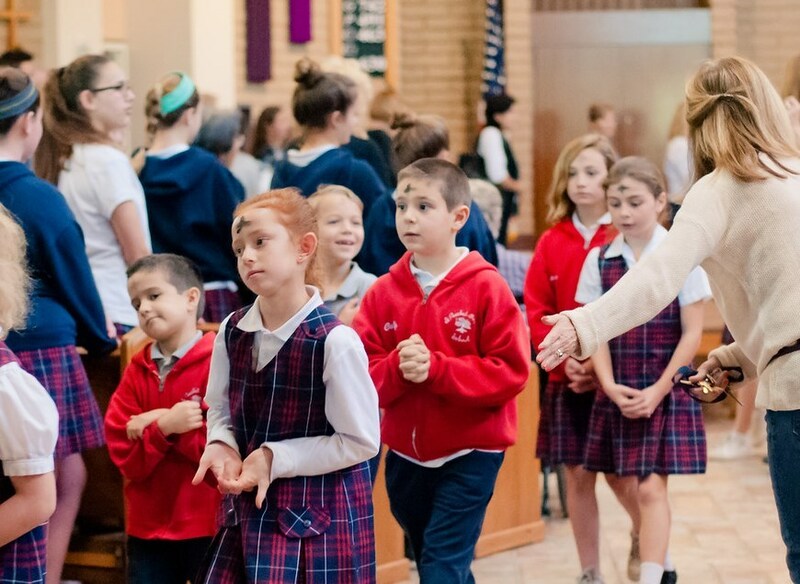 This comprehensive curriculum is designed to educate the “whole child”, and enhance the gifts and talents bestowed by God on each one of our students. 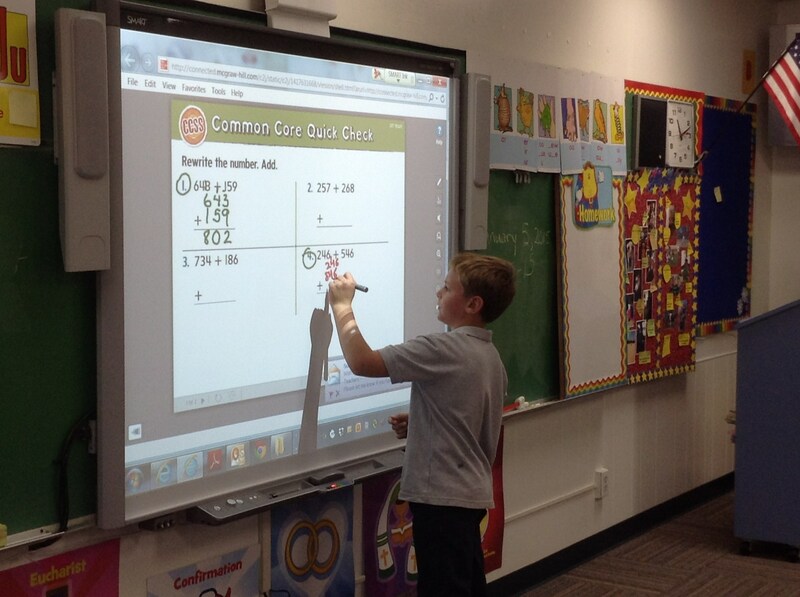 Students learn in a technology-rich classroom environment, which includes wireless iPads and a touch screen interactive SmartBoard. 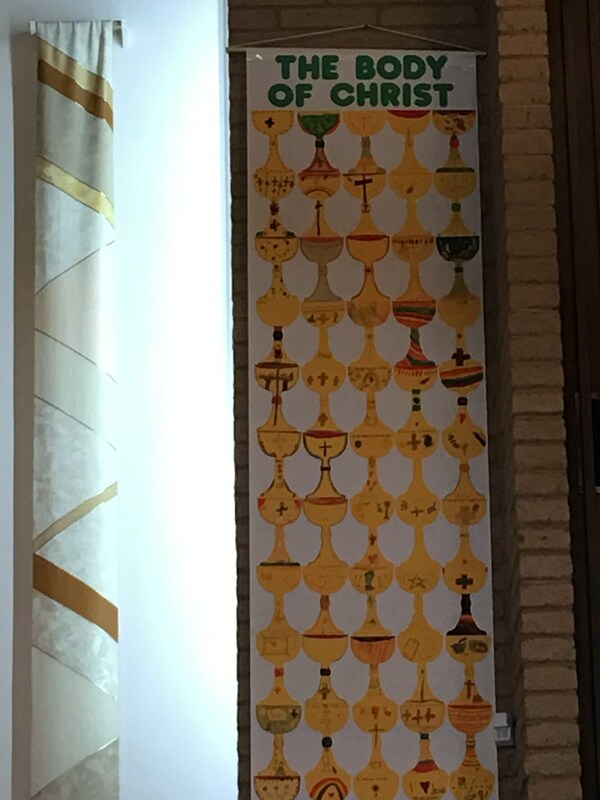 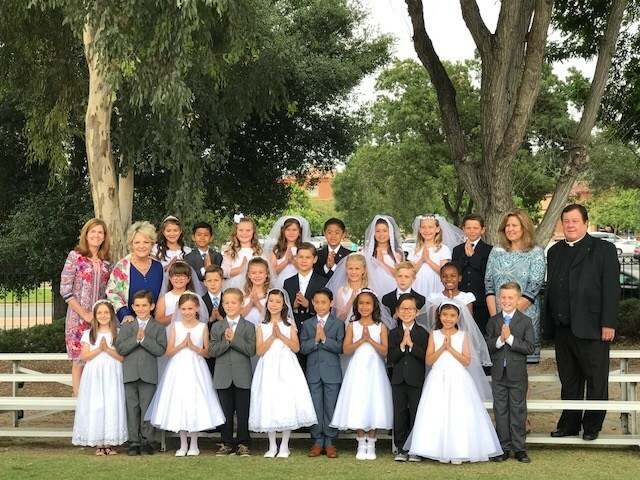 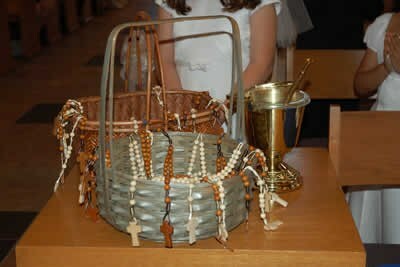 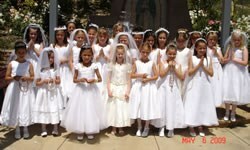 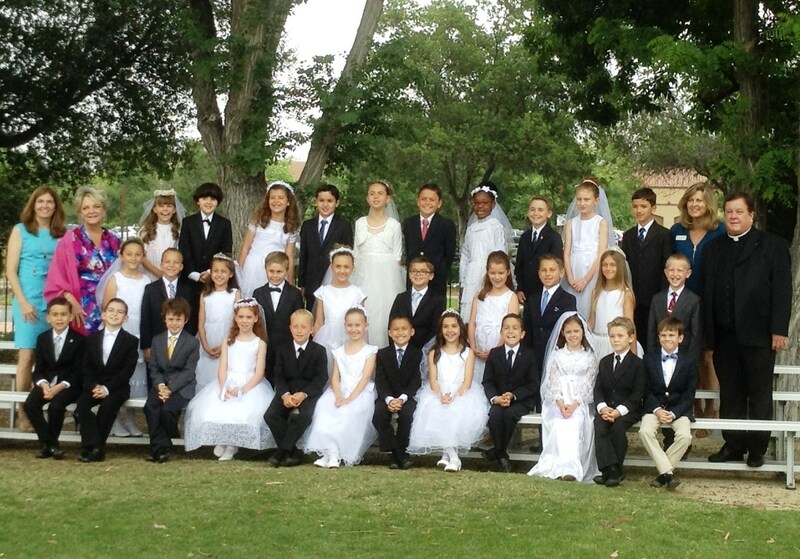 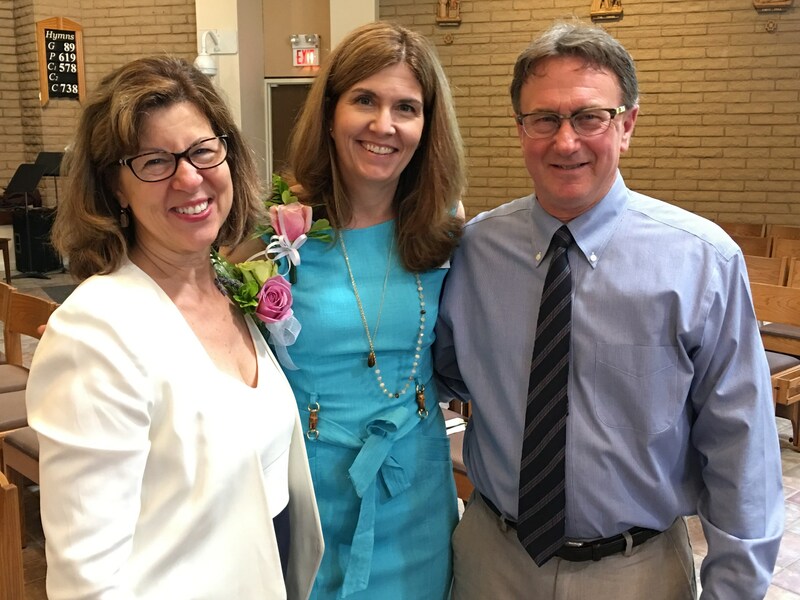 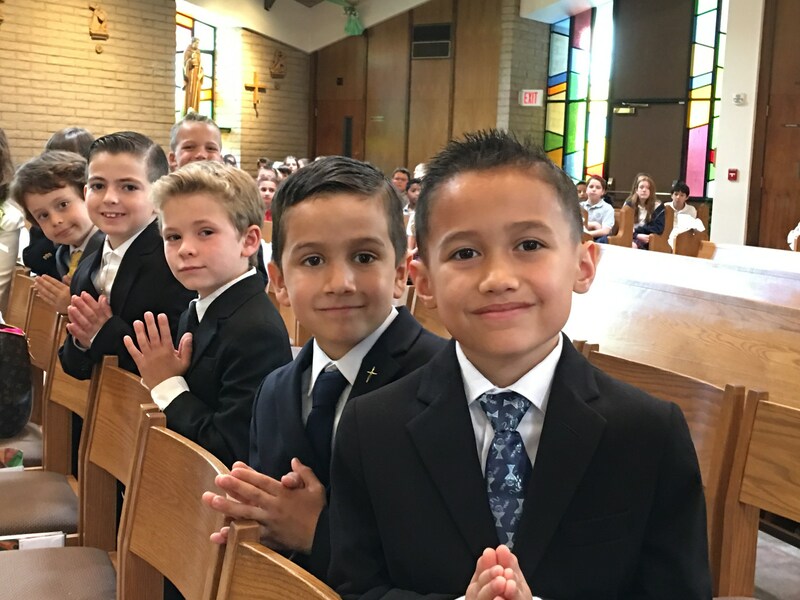 ~ The class coordinates two school wide Masses each year; attends Mass every Friday with the school; and participates in many other liturgical events and celebrations. 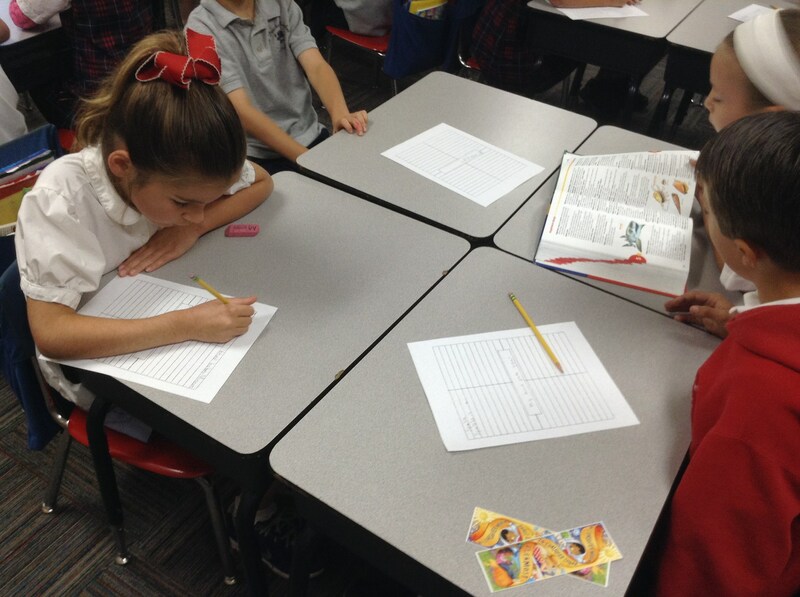 ~ Second Grade is taught by an experienced, credentialed teacher with a Masters Degree in Education. 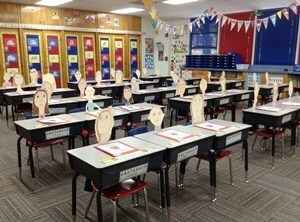 The teacher is assisted daily by a classroom Teacher Aide. 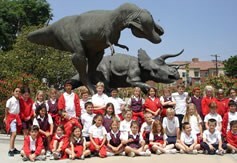 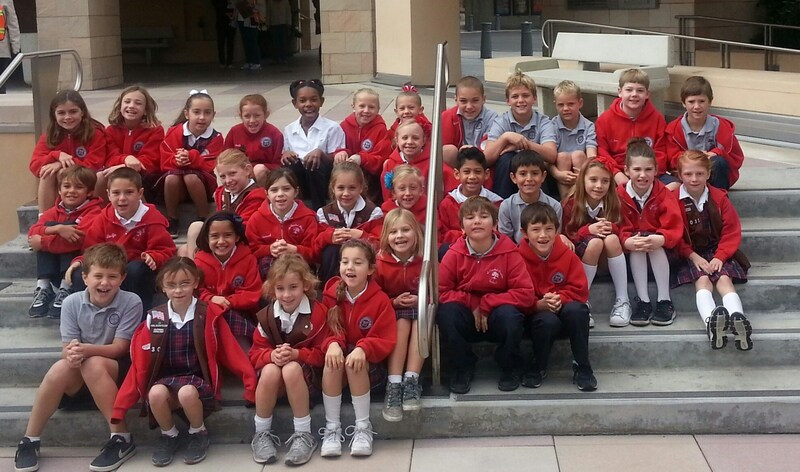 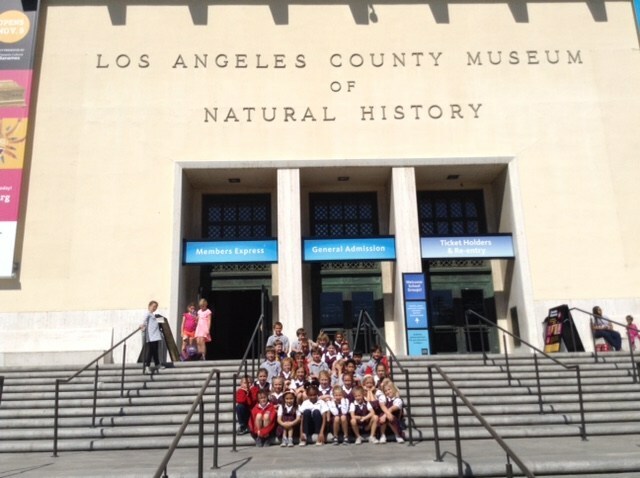 ~Class curriculum is enhanced by two class field trips: we attend a live fine arts performance at the Thousand Oaks Civic Arts Plaza, and our class visits The Los Angeles Museum of Natural History. 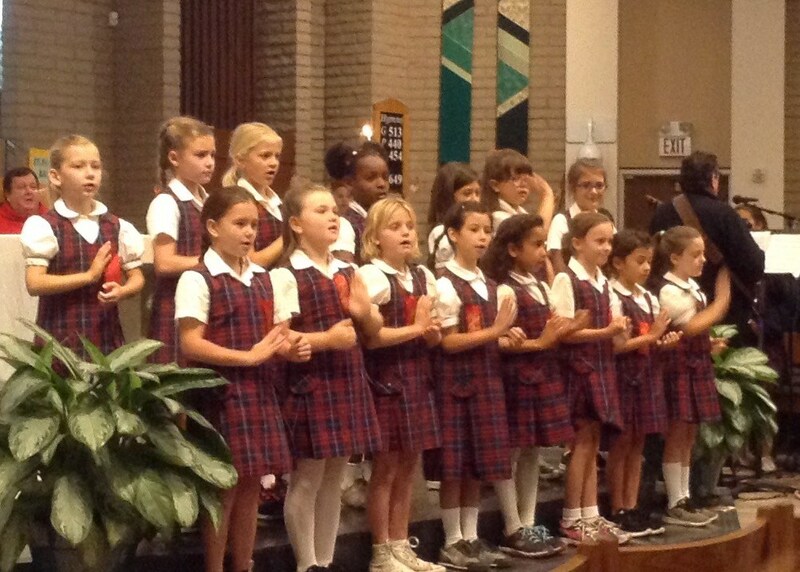 ~The entire class participates in both the school wide Christmas Concert, and the annual “Spring Sing” musical. 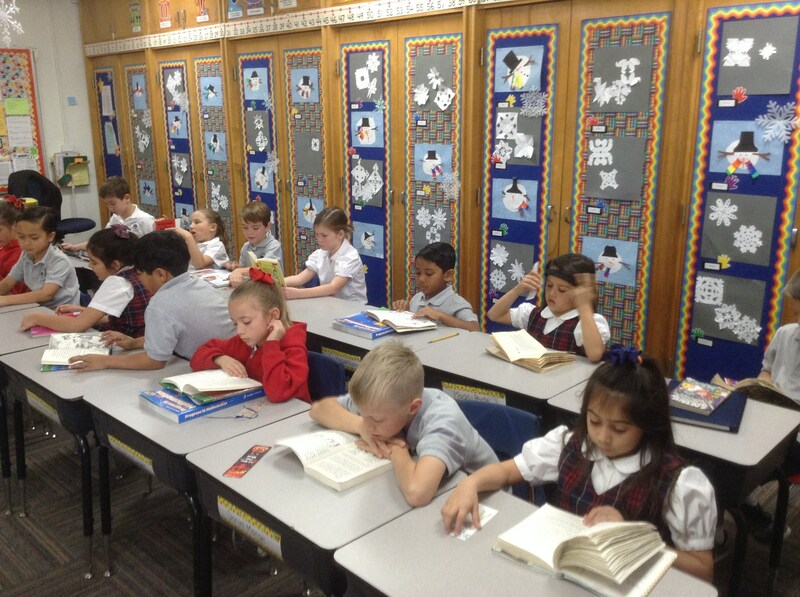 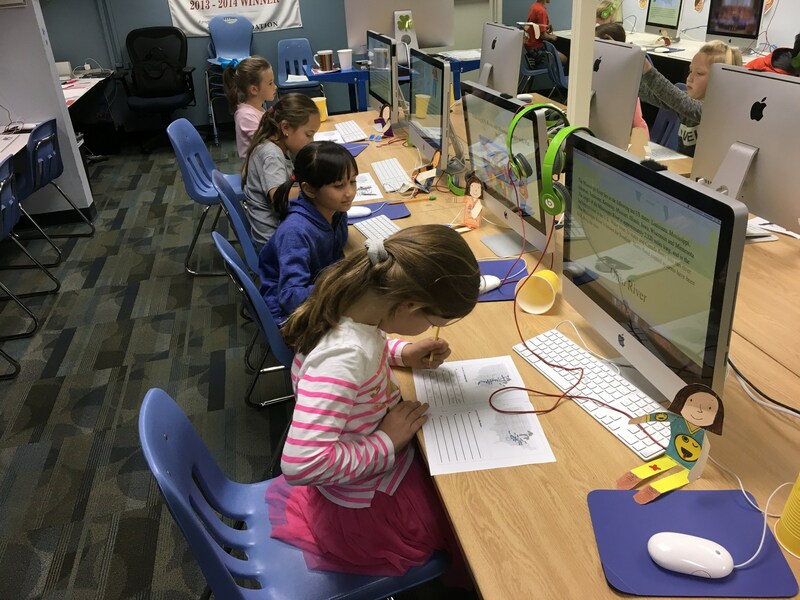 ~Second Grade students participate in the software-based "Accelerated Reader" (Reading Renaissance) program, in order to help enhance higher level critical thinking skills, a love of reading for enjoyment, and comprehension - through individually-designed reading enrichment programs.